Seattle gets a B grade, really? 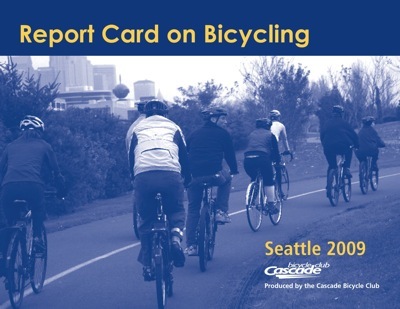 Cascade Bicycle Club releases a report that gives Seattle a B for bicycling. Do you think Seattle deserves a B? Reported bicycle thefts, A plus. Seattle has certainly improved with wayfinding signage, sharrows, lanes and awareness, but a B? Readers? Next Next post: Holy Schwag Batman!